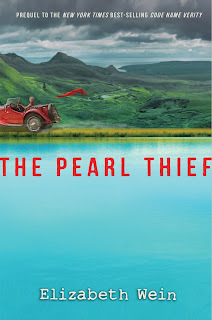 I'm honored to be a part of The Pearl Thief tour with Rockstar Book Tours! Read below for more information about the author, a review of the book, and a giveaway! 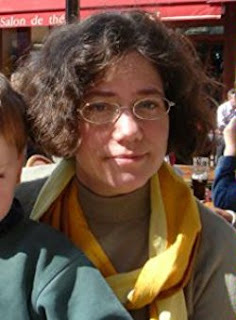 I was born in New York City in 1964, and moved to England when I was 3. I started school there. We lived practically in the shadow of Alderley Edge, the setting for several of Alan Garner's books and for my own first book The Winter Prince; that landscape, and Garner's books, have been a lifelong influence on me. My father, who worked for the New York City Board of Education for most of his life, was sent to England to do teacher training at what is now Manchester Metropolitan University. He helped organize the Headstart program there. When I was six he was sent to the University of the West Indies in Jamaica for three years to do the same thing in Kingston. I loved Jamaica and became fluent in Jamaican patois (I can't really speak it any more, but I can still understand it); but in 1973 my parents separated, and we ended up back in the USA living with my mother in Harrisburg, PA, where her parents were. When she died in a car accident in 1978, her wonderful parents took us in and raised us. I went to Yale University, spent a work-study year back in England, and then spent seven years getting a PhD in Folklore at the University of Pennsylvania in Philadelphia. While I was there I learned to ring church bells in the English style known as "change ringing", and in 1991 I met my future husband there at a bell ringers' dinner-dance. He is English, and in 1995 I moved to England with him, and then to Scotland in 2000. We share another unusual interest--flying in small planes. My husband got his private pilot's license in 1993 and I got mine ten years later. Together we have flown in the States from Kalamazoo to New Hampshire; in Kenya we've flown from Nairobi to Malindi, on the coast, and also all over southern England. Alone, most of my flying has been in eastern Scotland. Set in 1938 Scotland, Wein takes the reader back in time with eloquent writing and enough imagery to turn my kindle pages into the lush green hills and rivers in the novel. I had never read anything by Wein before, so I was pleasantly surprised by her gorgeous writing style and the complexity of each of her characters. I loved Julie and her spunky attitude and I look forward to reading the other books in this series. Wein not only introduces the reader to a bit of a murder mystery, but she also opens up a conversation about sexuality, prejudices, and stereotypes. I honestly was not expecting this book to be as complex as it was, but I throughly enjoyed it. The characters were fun, witty, and charming, and the pace of the novel was quick and to the point. The only thing I had difficulty with was the Scottish dialect. The words were so different from what we use in the States, so at times I felt like I was missing important information because I didn't really understand the words. 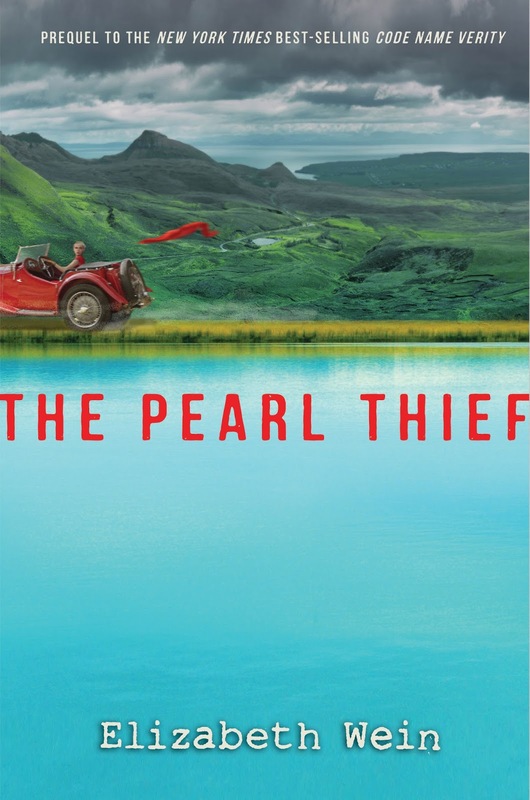 All in all, The Pearl Thief was a fun and fast paced read that I will be recommending all summer long. It held my attention from start to finish, and it made me really want to read more books in the series. I loved the murder mystery portion of the novel as well as getting to know Julie and her back story. She will definitely be a character that sticks with me for a while! Thank you Disney-Hyperion and Rockstar Book Tours for providing me with a copy of the novel.